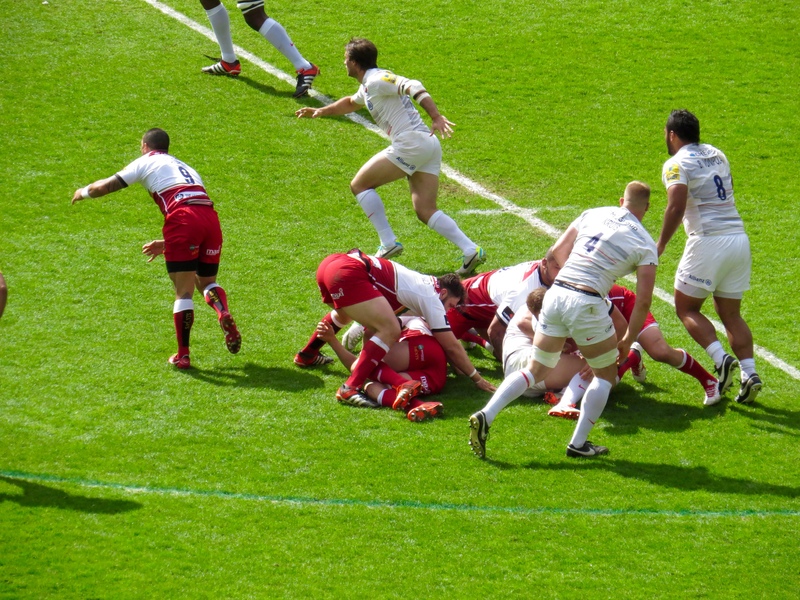 After an afternoon in London shocking my camera by taking photos with no element of sport involved whatsoever Saturday arrived and that meant rugby! 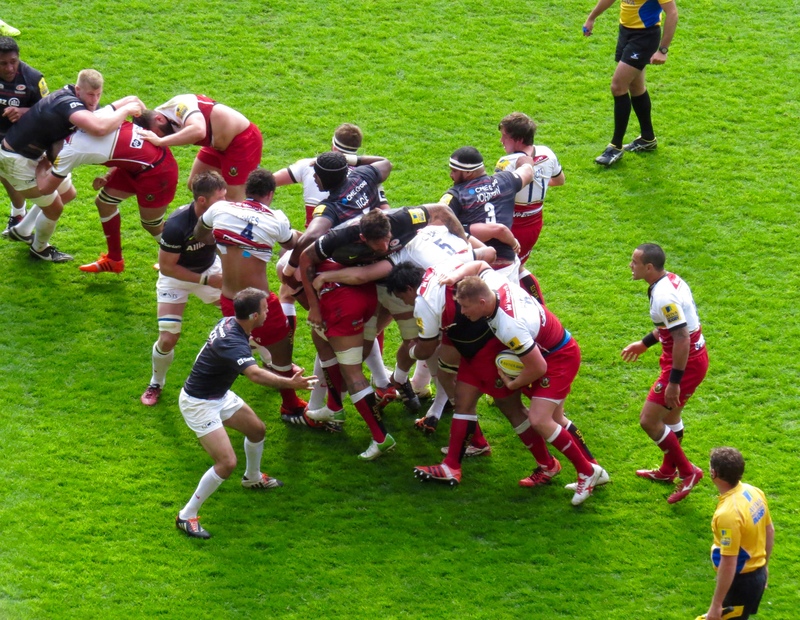 Northampton Saints in conjunction with the RFU I imagine decided to play their home fixture against Saracens at Stadium MK in Milton Keynes. 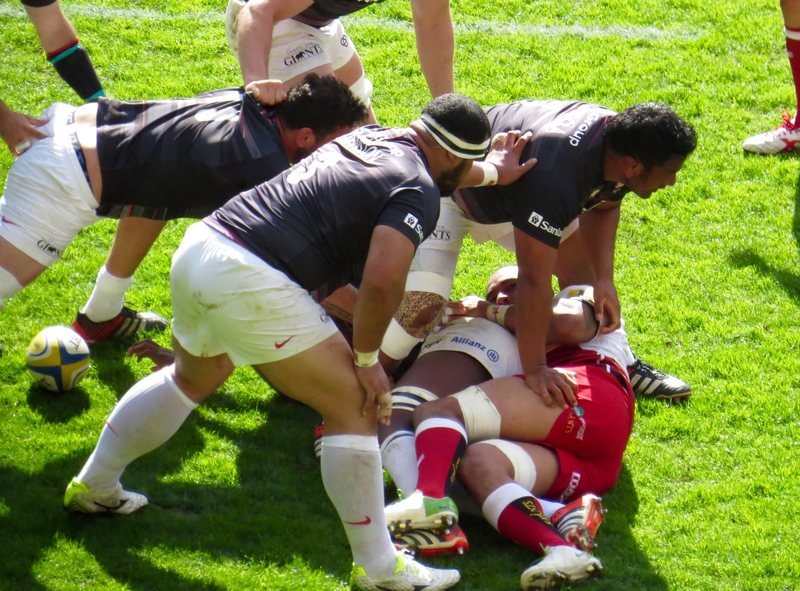 The game itself has become something of a draw as far as fans are concerned but the day was also to be a dry run for the World Cup later in the year. I made the most of my day by meeting my good friends Sharon and Alun in Hertford for brunch – something I seemed to have forgotten when I made myself 2 slices of toast first thing. I remembered just in time to only eat one however! Hertford is a mere 45 minutes from Chelmsford I hadn’t realised somehow! So I can see brunch may need to happen again! We had a very civilised meal in Baroosh in the centre of town, a place that never allows under 21’s it seems – made for a nice quiet morning. Brunch was followed by what has to be one of the most calorie laden cakes I’ve ever had! But hey ho, who cares, it was lovely! After all the food and good company it was time to set off to Milton Keynes – geography was never my strong point but I had a vague idea of where I was heading – a good job as the A414 was shut! My satnav kept trying to send me back that way, but I eventually found the right roads. A quick drive up the M1 leaving at the first junction for Milton Keynes found me sat in a queue – there’d been an accident but then roadworks too, it was a bit of a nuisance but I’d given myself plenty of time to get there. I’d pre-paid to park at the Open University – It must have been something of a horror for the organisers that the road leading to it was closed! But, again no dramas I just followed the diversion. The system to scan the parking tickets wasn’t working but it was just a case of giving your name, that was quick, parking was easy and there were plenty of buses. The Park & Ride was actually a Park, Ride and a reasonable walk to the stadium – but there was lots of traffic and that will have made it easier to recycle the buses. I’d been to the stadium once before but it seemed snazzier than my last visit – I found my way to the gate I needed to go in, a quick bag search and I was in. I haven’t connected with too many Saints fans so it was nice to meet up with another, Twitter man – Luke Pickles – a very interesting young man he is too! 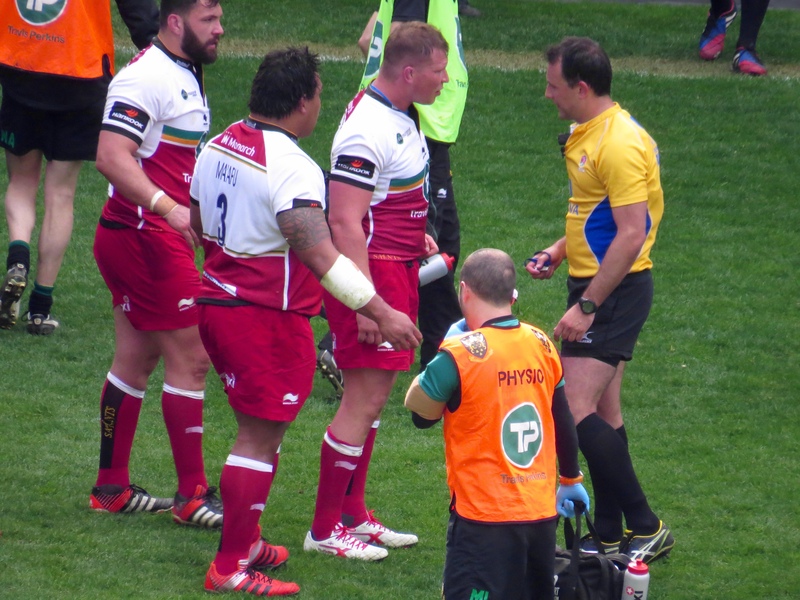 He’d been in the USA refereeing recently – I can see he will be great to learn more about. 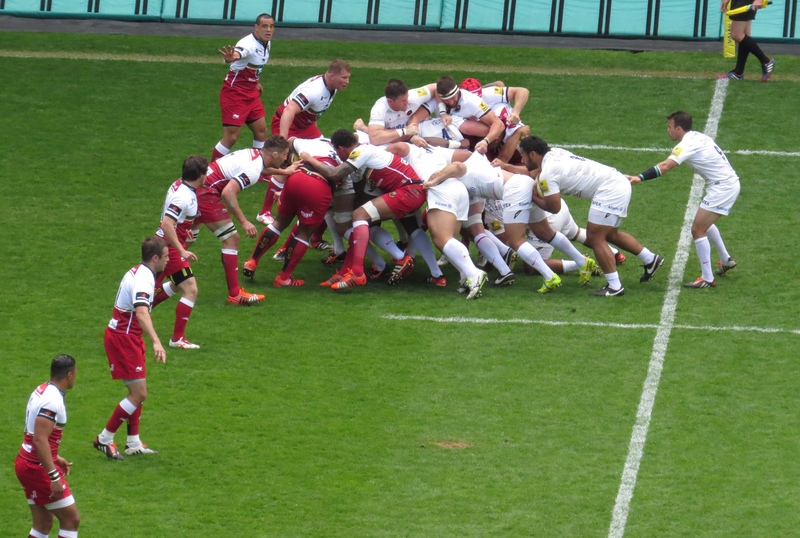 I’d bought my ticket through Ticketmaster, I like to be as close as I can get to the centre line, so had a better seat than most of my fellow Saracens fans, who were stuck in the corner. 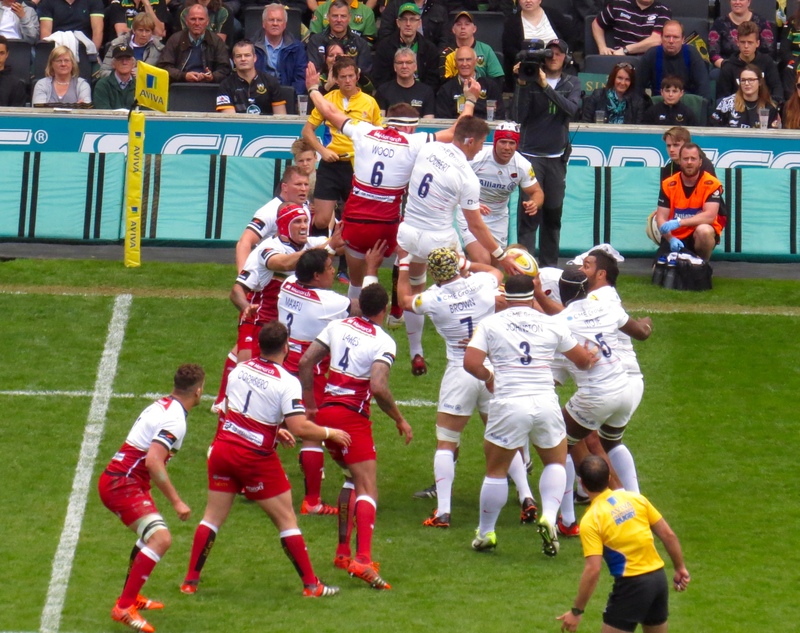 I had a couple of Saracens fans by me but the crowd was as you’d expect predominately supporting Saints – I’m pleased to say the people I sat by were very nice and appreciative of the rugby whoever produced it. 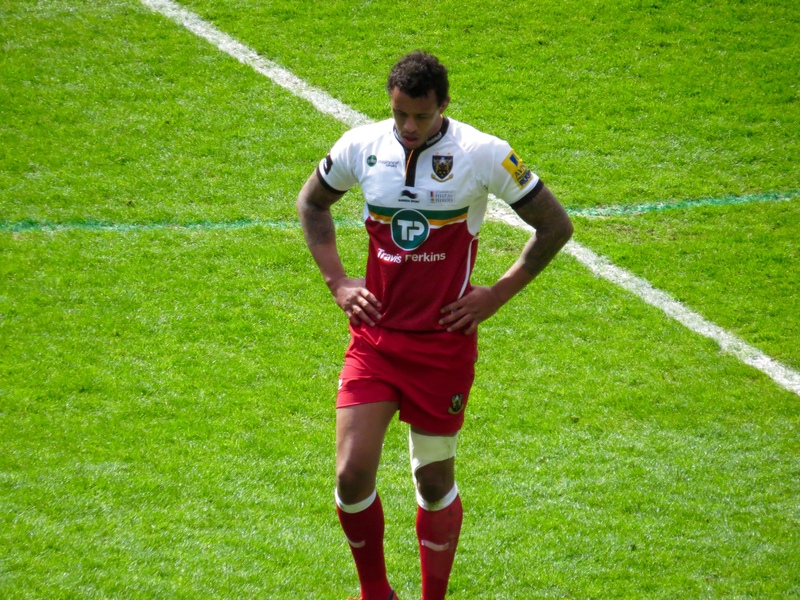 As a Saracens fan I’m always slightly surprised for some reason by the array of really fine players in the Saints team – I’m not sure why that is – I do know who plays for them! But I always seem to find myself looking in awe at some on show. 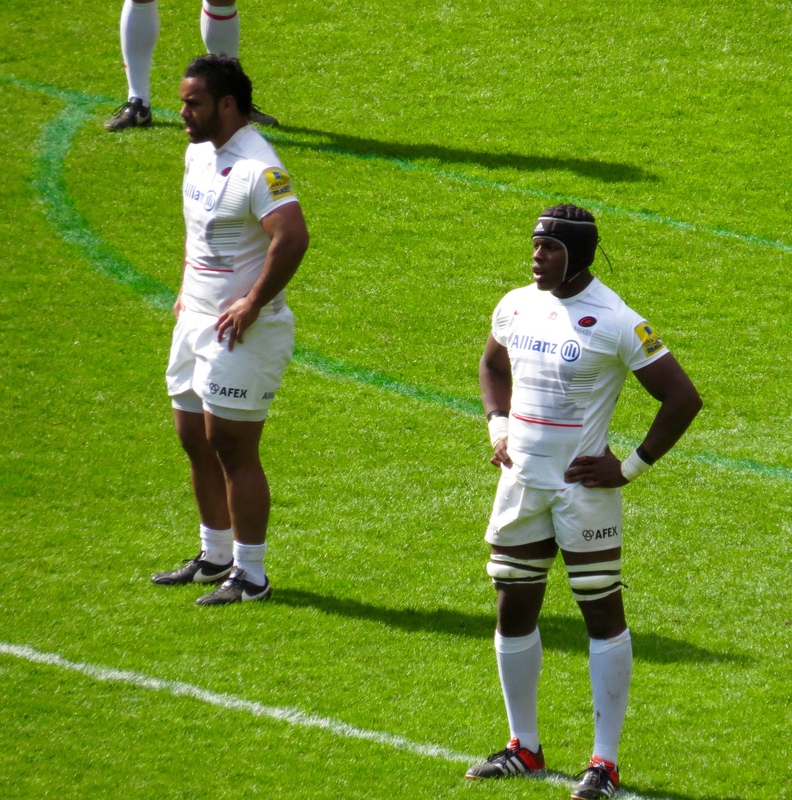 Which is not to tale away from the team fielded by Saracens – one player in particular has to be a future captain for his club at Premiership level and for me England too – Maro Itoje – he’s an exceptional young player! And so a little about the game itself – although Stadium MK isn’t home to Saints, it isn’t far from their ground and the fans to their credit certainly made it feel like home for them. 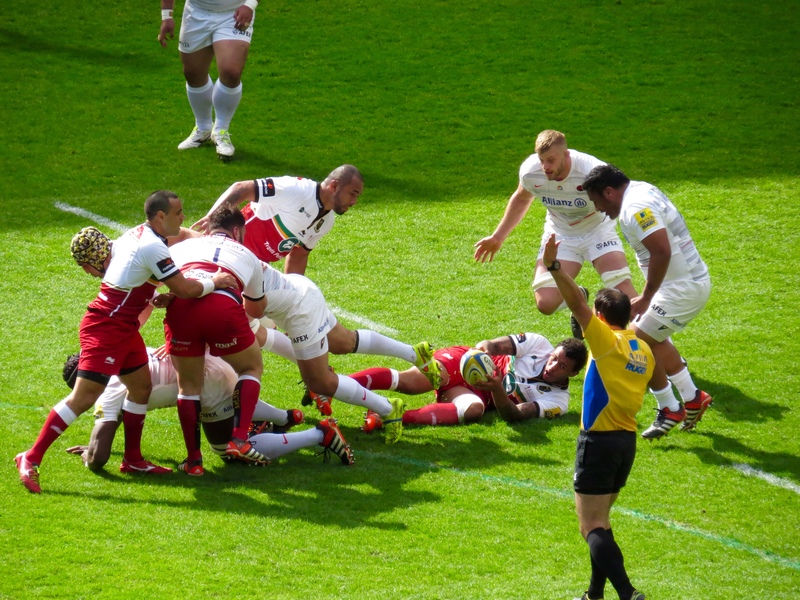 The game was always going to be a hard fought one, unlikely to be one with an array of try’s. 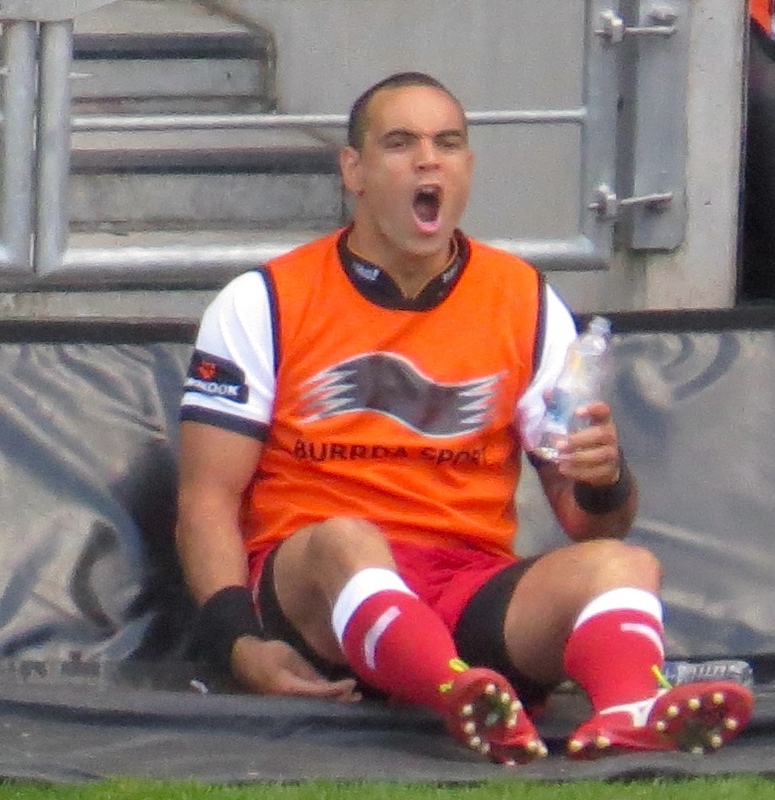 Chris Wyles, however scored an early try for Saracens running in on the left wing, wherever this man is asked to play he excels! 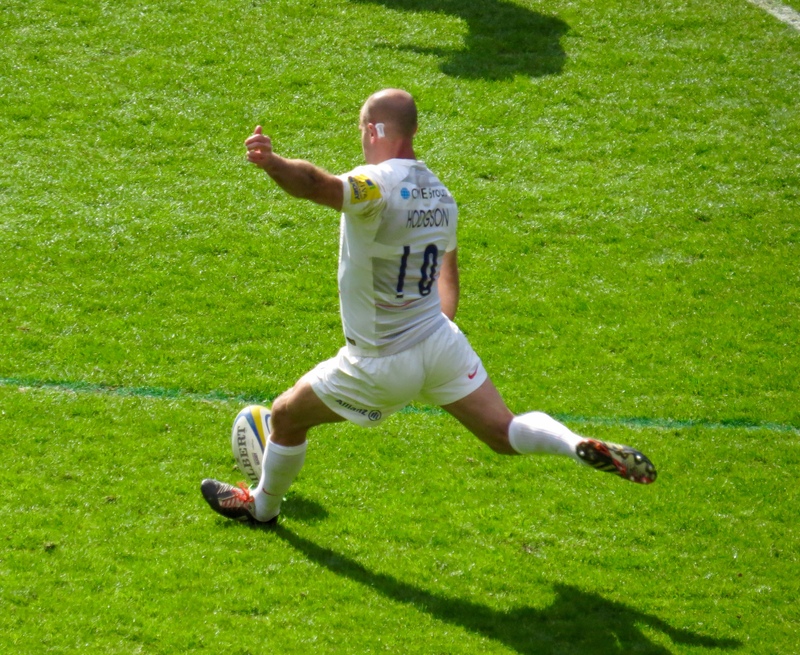 Hodgson converted with a difficult kick. 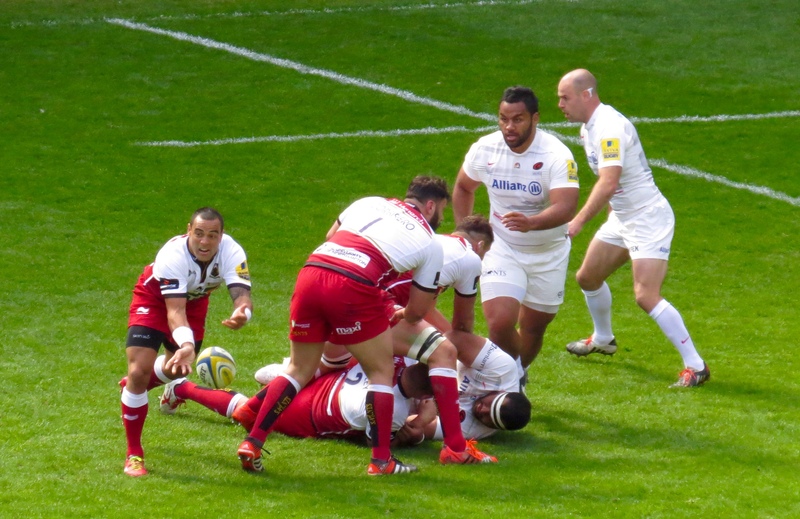 Stephen Myler who has a great kicking boot added 2 penalties for Saints before Chris Wyles was put in by a great pass by Billy Vunipola – Hodgson again added the extras extending the Saracens lead. 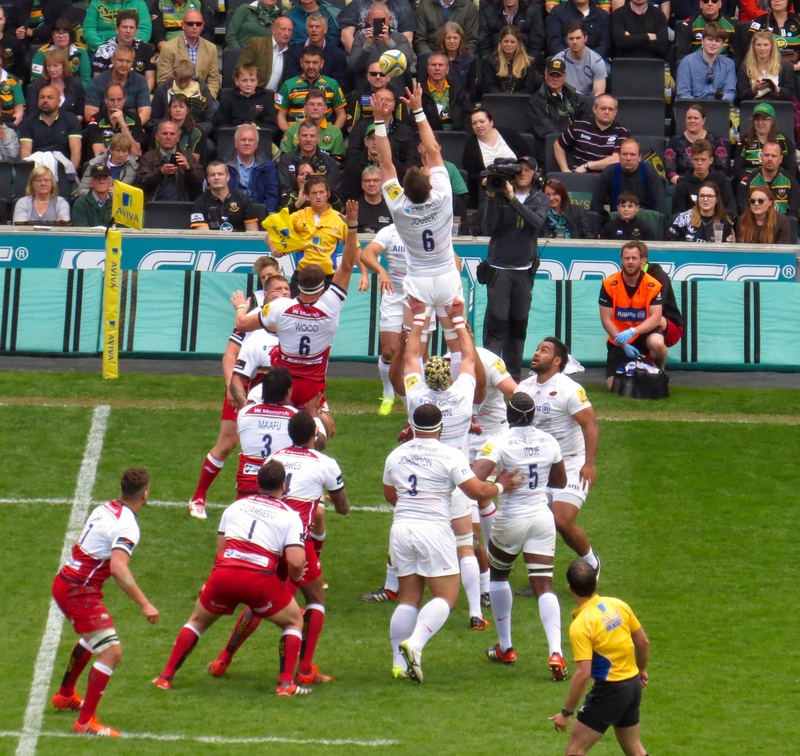 Saints responded when Luther Burrell made a superb break, looking every inch the England international – his pass outside so Samu Manoa saw him touch down for an exciting try. 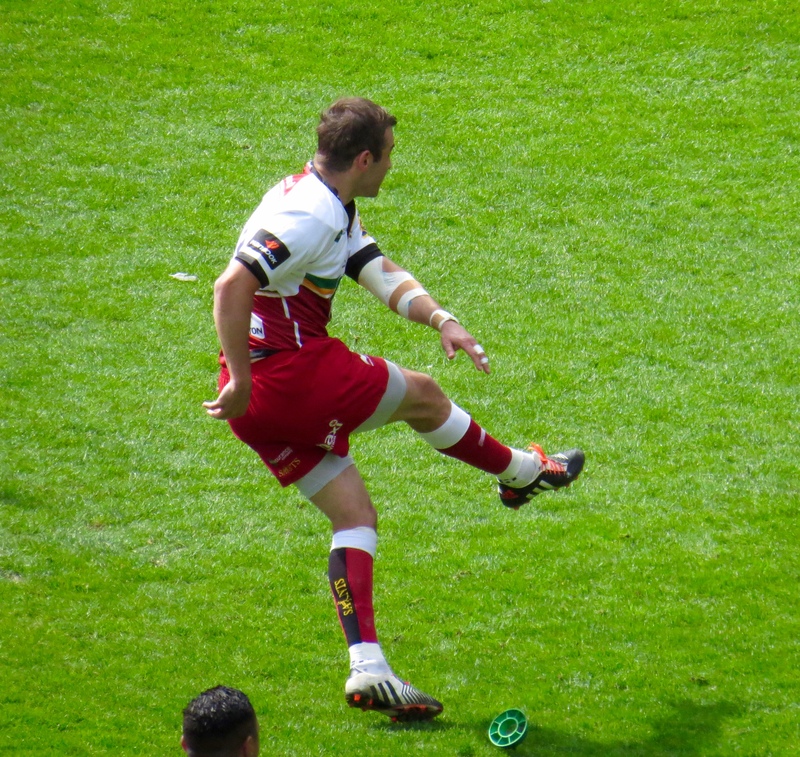 Myler converted the try. 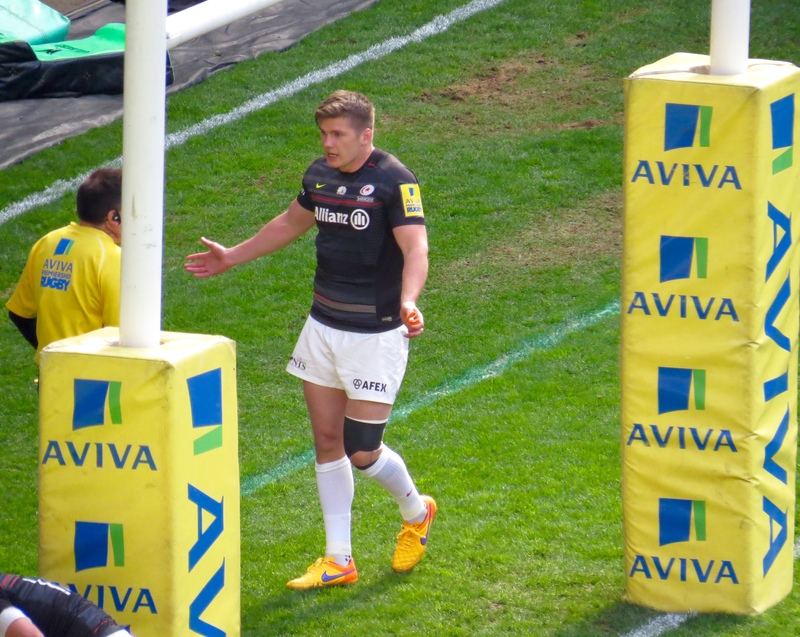 Hodgson added a further penalty to take the score to Saints 13 Saracens 17 at half time. 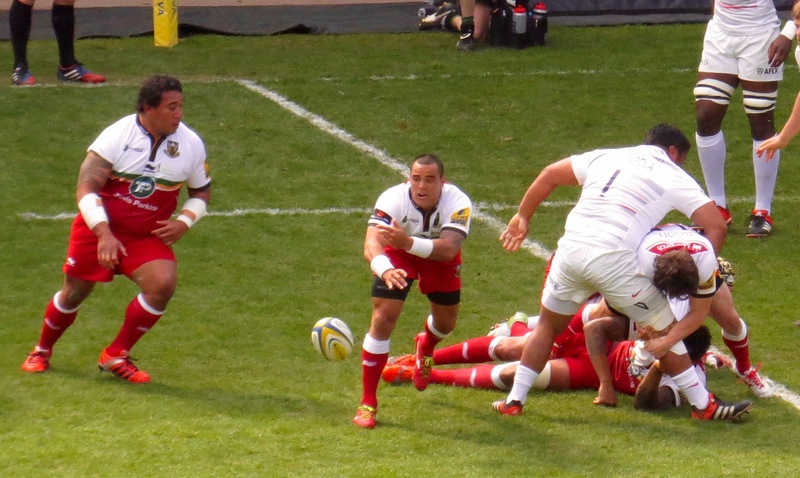 Billy Vunipola had almost been gifted a try as he charged down a Myler kick, but he stumbled with the ball in hand. 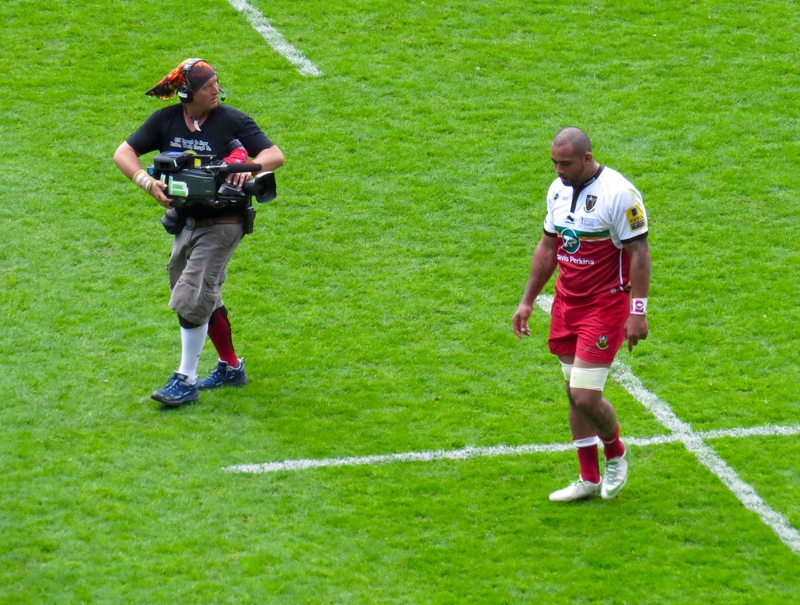 His afternoon didn’t get any better as he limped from the field before half time. 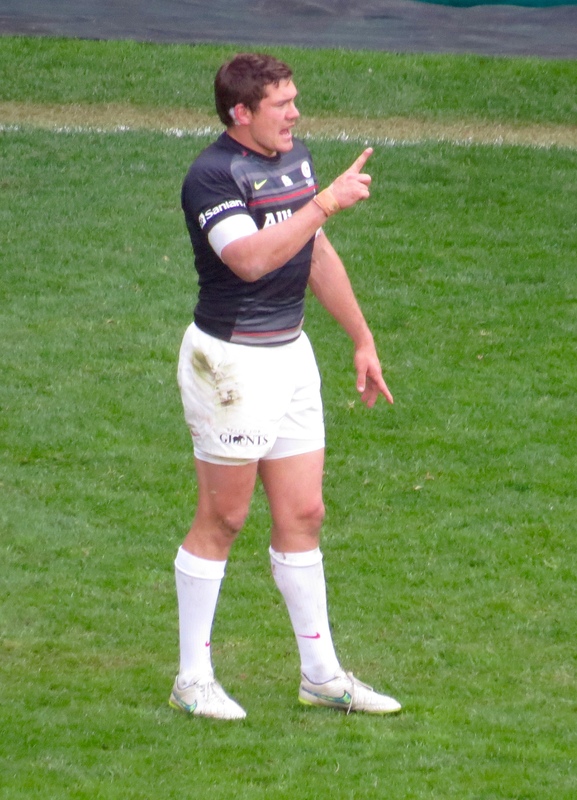 His replacement Jackson Wray wasn’t far behind him either after he clashed heads with Ernst Joubert. It was a very worrying few minutes as Wray didn’t move at all for a while! 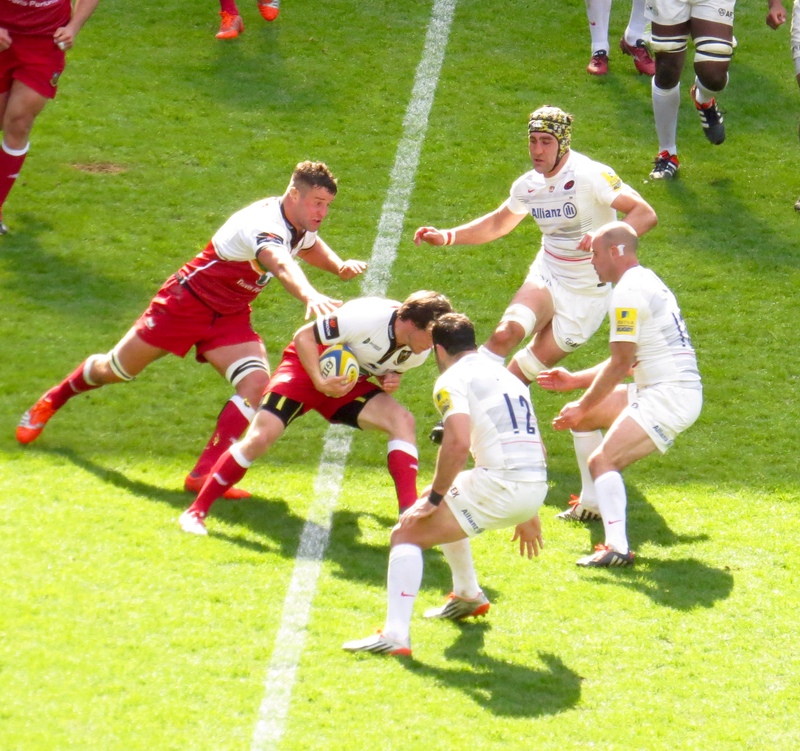 But I believe he’s concussed, but ok.
I’m straying into match report territory here, so a quick summary of the 2nd half – for one thing, Saracens emerged with their black shirts on! 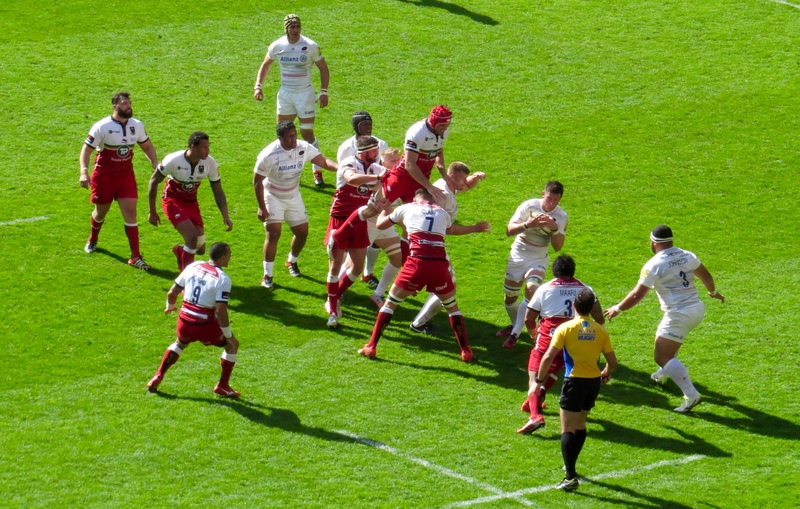 Which was all rather crazy; Saints special Help For Heroes shirt was predominantly white at the top, meaning a clash with Saracens’ away kit. A mistake by someone, somewhere! 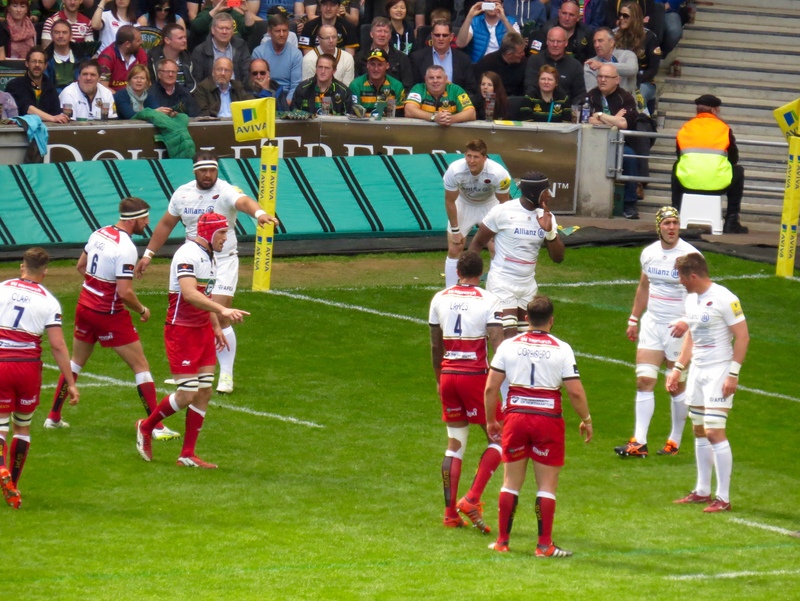 Saracens looked a different side in the 2nd half and not in a good way; Hodgson extended their lead with an early penalty but that was to be their final score. 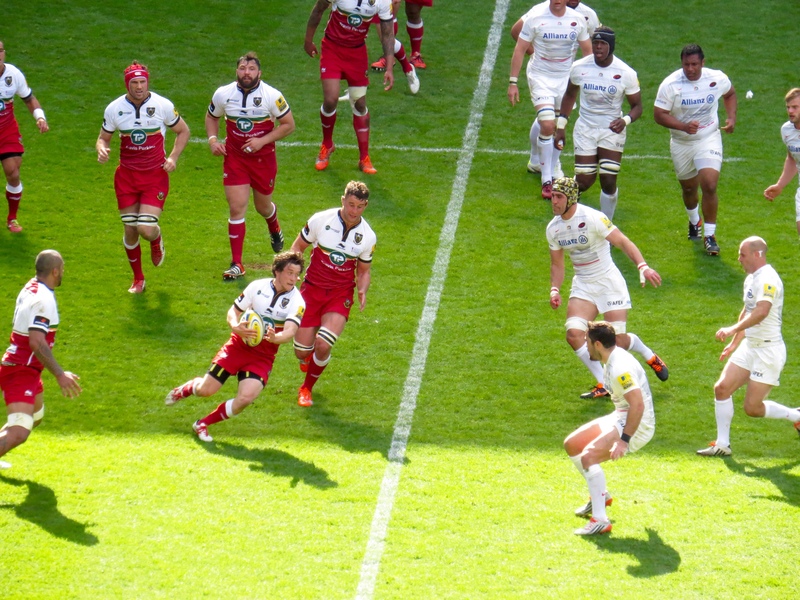 In a scrappy, often tempestuous half Saracens were penalised time and again, Myler put his team ahead and into the winning spot with 4 successful kicks at goal! 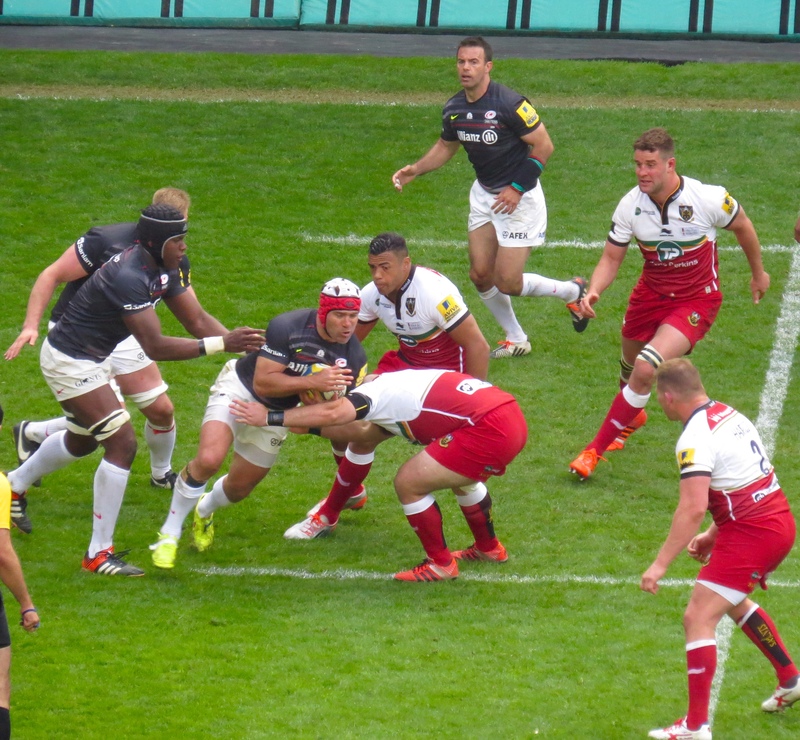 The final score was Saints 25 Saracens 20. 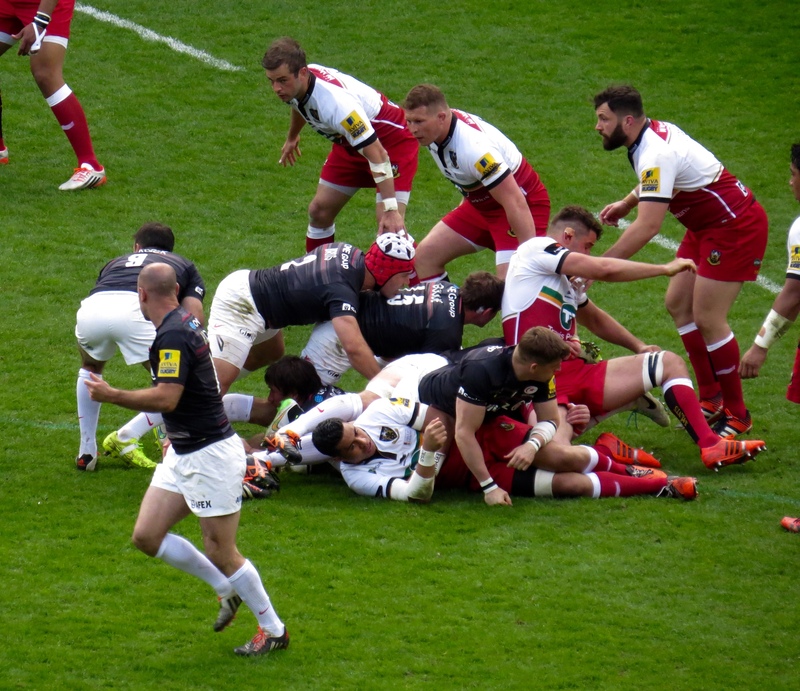 The 1st half was entertaining rugby, the 2nd half not so much – the result keeps Saints top of the table and Saracens slipping to 3rd. 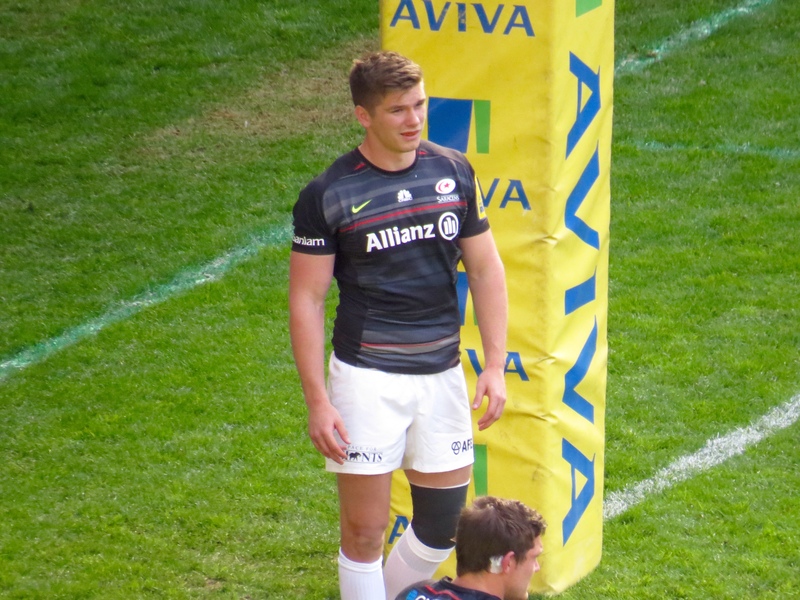 I had a chat with a few fellow Saracens fans then went to find my way back to the Park & Ride pick up point. 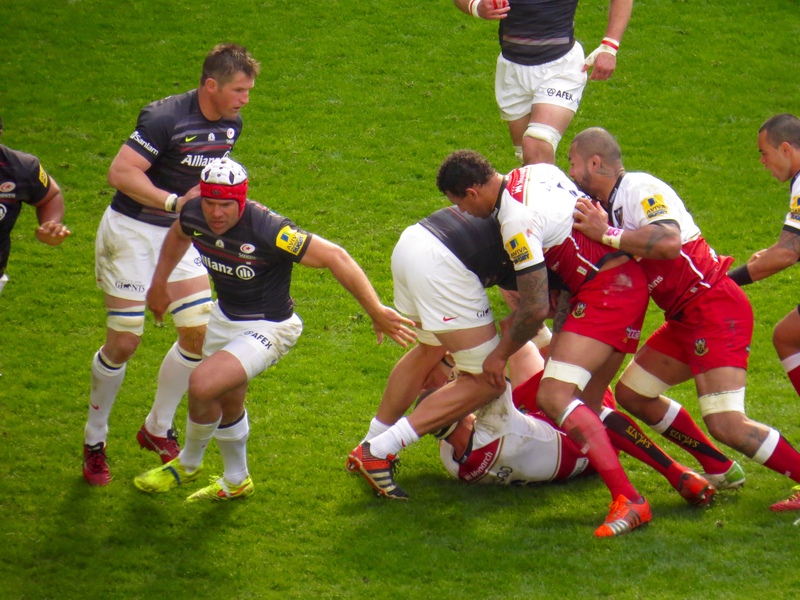 It was regrettable that I was pointed in the wrong direction – more volunteers and stewards needed I think. But once I was on the right path it was fairly quick to get on a bus and I had a really great chat in the queue and later on said bus. Safety – on the whole it was very good, although being directed to walk through secluded paths on my own wasn’t advice I chose to take! 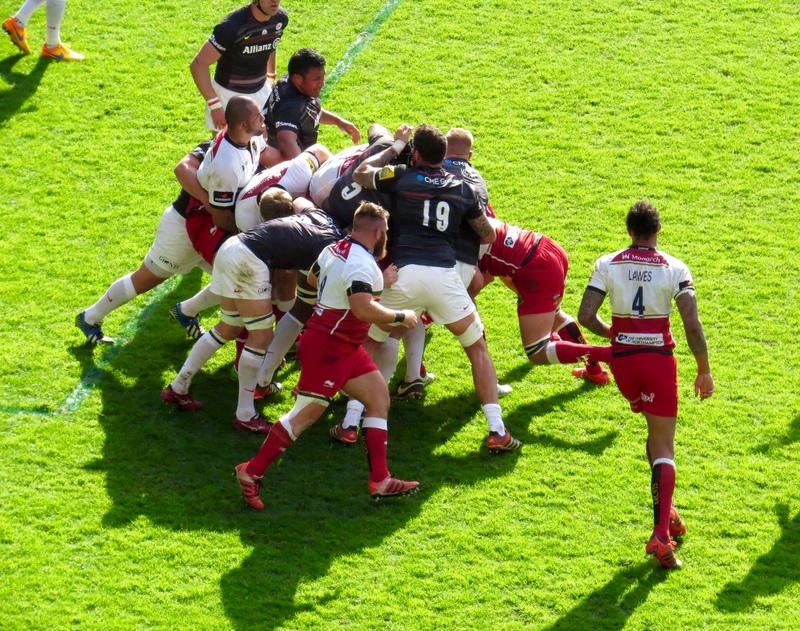 On the whole I enjoyed the afternoon in spite of the result; to hold a rugby match at a football venue is always a bit of a worry, there’s a distinct lack of understanding about the difference between the 2 sets of fans. There are a few things for Stadium MK to sort out before the World Cup arrives!